Maiden Madison Clairmont celebrates a score against the Lady Pirates. rea swats one past the Lady Pirate defense. Maiden Lilly Ilac prepares to bump the ball. 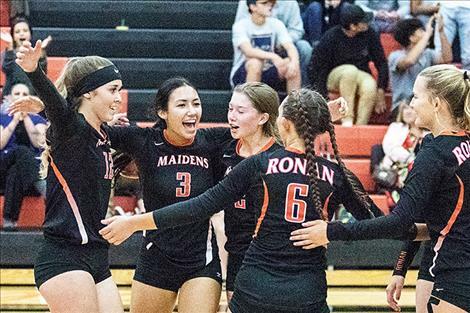 RONAN – Two Mission Valley rivals started the 2018 volleyball season against one another on Tuesday, August 28, when the Ronan Maidens hosted the Polson Lady Pirates in their season opener. 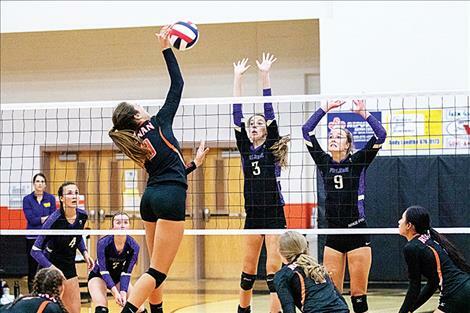 Polson took two of the three meetings between these squads last season, including a match-up during the Northwestern A volleyball district tournament. Ronan defended its home court and handed Polson their first conference loss of the season sweeping the Lady Pirates in straight sets 25-16, 25-23, 25-21. Ronan had some long scoring runs during the opening set, but it ended with the Maidens prevailing 25-16. 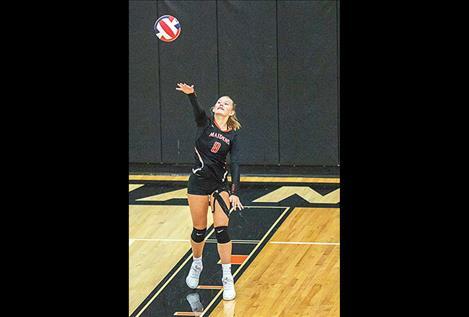 Both teams traded points in the early going of the second match with the Lady Pirates taking a healthy 13-19 lead at one point before the Maidens stormed back to take the second set 25-23. 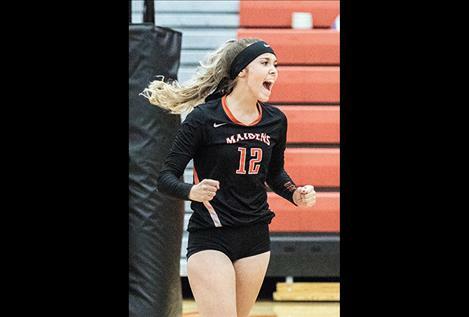 In the third set, once again both teams battled back and forth trading points, and as the teams knotted a 20-20, the Maidens went on a 5-1 run to put the set and match away. King finished with three aces, tying Madison Clairmont for the team lead. Tiana Ulutoa led the Maidens with nine digs and dished out 16 assist, while Madeline McCrea had a Maiden high of seven kills. For the Lady Pirates, Shea McGuiness led with a match high 17 assist, while Paige Noyes chipped in with a match high 15 digs. 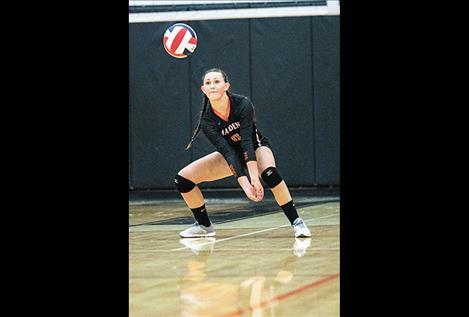 Mikaela Ducharme had seven kills and Olivia Perez accounted for three aces to lead the Lady Pirates. The Maidens visit Polson on Saturday, October 6, a week prior to the beginning of the playoffs.